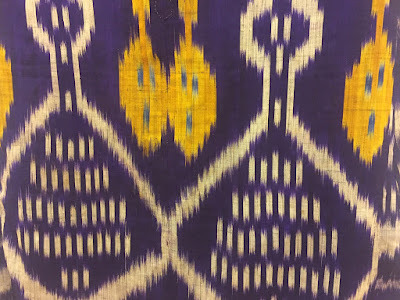 If you are serious about ikat fabrics, then this database will be of interest to you. 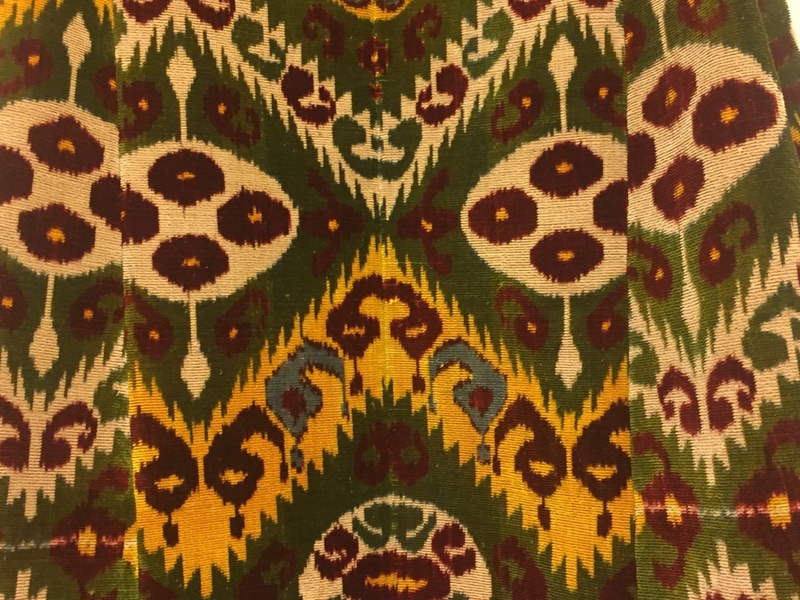 Sponsored by the Volkswagen Foundation, the five-year research and academic project "Modernization of Tradition: Uzbek Textile Heritage As Cultural And Economic Resource" produced various outcomes. 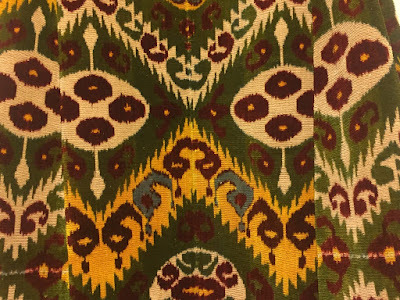 One is the publication of an online, multimedia database about Uzbek ikat. The German and Uzbek researchers sourced images found in Uzbek and European museums, in private collections, in literary sources (books, magazines, periodicals), in textile shops, and textile markets in Uzbekistan, and in the cities of Andijan, Namangan, Marghilan, Bukhara, and Tashkent. The database is for scientific, educational, industrial, and handicraft production purposes. It is also a resource for designers, textile professionals, ethnographers, textile anthropologists, cultural mediators, artists, ethnologists and students. It is a serious contribution to the field. Unfortunately, the website is a little "clunky" to use. Registration, which is free, is required to explore the database. Then you can view and search ikats. There is a 521-page downloadable book in pdf format with extensive notes on each item. View the Ikat DNA database.